Formed in 1973, the Kansas Home Care & Hospice Association (formerly Kansas Home Care Association) is the leading statewide organization that represents those businesses that provide medical and/or support services in their clients’ homes. As a trade association, KHCHA has also become a primary source of information for policy makers, governmental and private sector bodies, and the public. 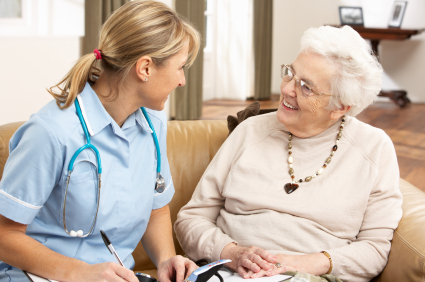 Through its services, KHCHA strives to ensure access to quality home care and hospice services for the citizens of Kansas. Through the NAHC Legislative Action Center, we can use the latest social media tools to amplify our voices and reach elected officials. Traditional email, Twitter, Facebook, and live phone calls are all available in one easy to navigate space. To access the Members portion of our website, new KHCHA members must create a new password. Enter your e-mail address associated with your KHCHA membership. A new password will be sent to that e-mail address. Once you have logged in with your new password, you may change your password through "View profile". The HHQI National Campaign is a grassroots movement of the Centers for Medicare & Medicaid Services (CMS) designed to unite home health stakeholders and multiple health care settings under the shared vision of reducing avoidable hospitalizations and improving medication management. The campaign currently has 10,000+ participants.